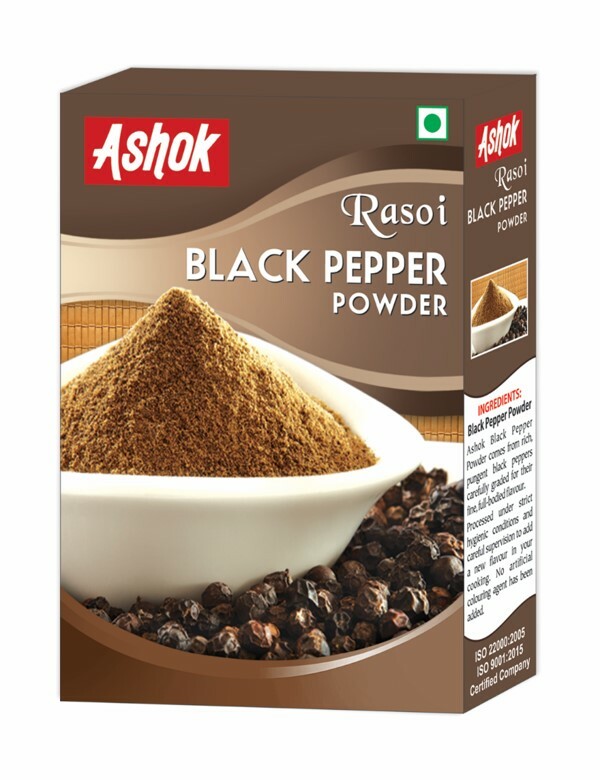 Ashok Black Pepper Powder comes from rich, pungent black peppers carefully graded for their fine, full-bodied flavour. 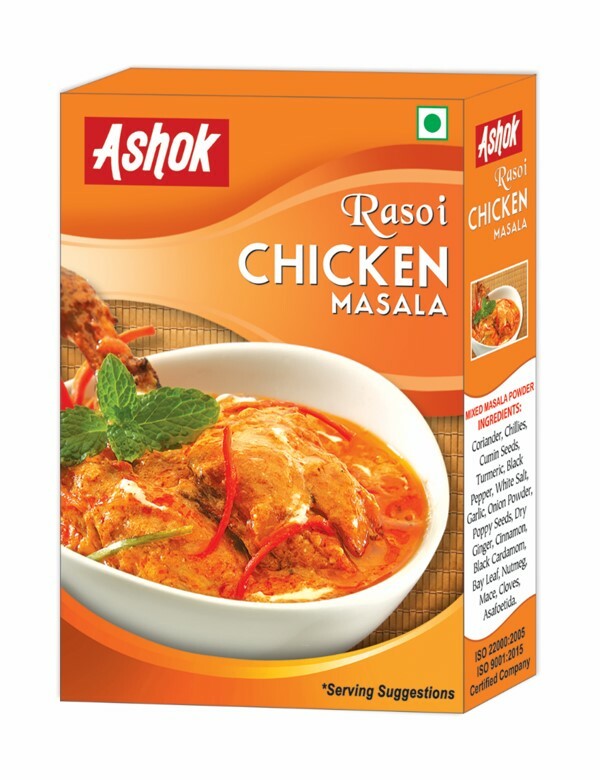 Processed under strict hygienic conditions and careful supervision to add a new flavour in your cooking. 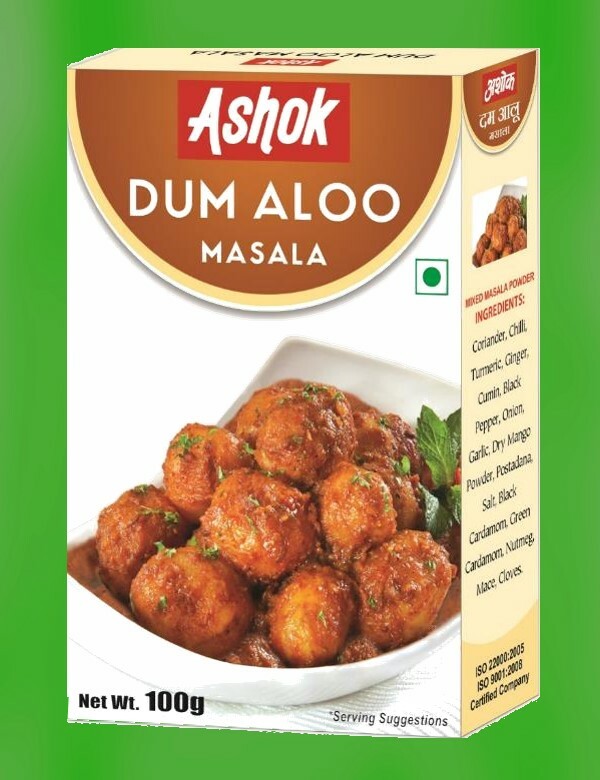 No artificial colouring agent has been added. 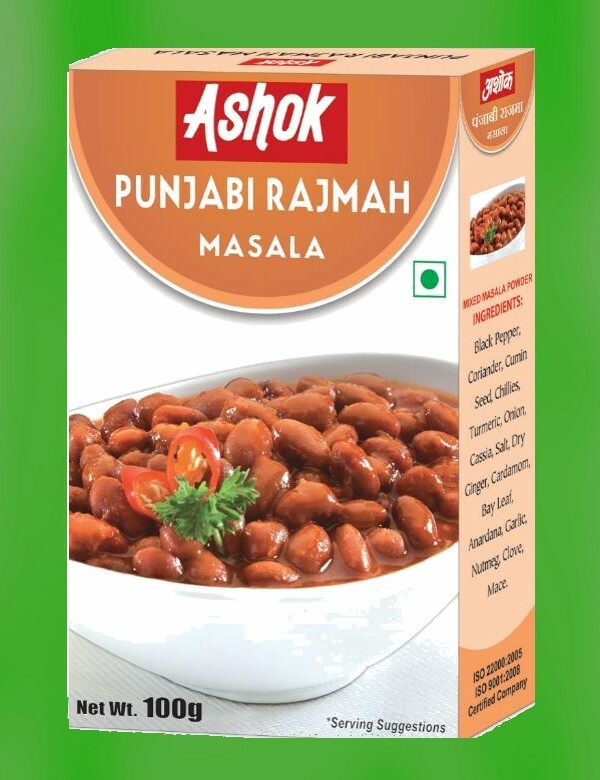 Black Pepper, Coriander, Cumin Seed, Chillies, Taj, Dry Mango, Ginger, Mustard, Salt, Fenugreek, Badi Elaichi, Pomegranate Seed, Jaiphal, Laung, Javitri. 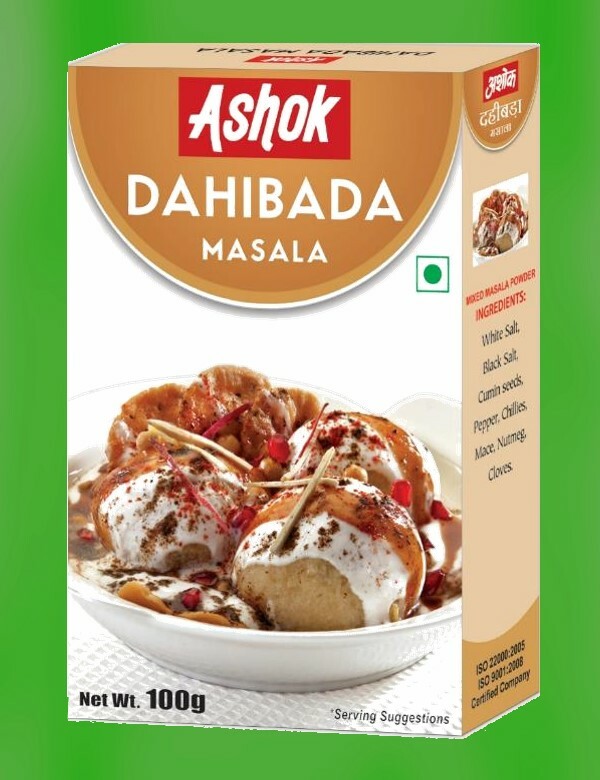 A combination of salt, Dry mango, Pepper, Black salt, Cumin, Chillies, Pomegranate, Cardamoms, Ginger, Ajwain, Ntmegs, Mint leaves, Cloves, Asafoetida etc. Coriander, Cumin Seed, Pomegranate Seed, Dry Mango Powder, Black Pepper, Dry Ginger Powder, Chilli, Fenugreek, Salt, Cardamom, Nutmeg, Mace. Turmeric, Cinnamon, Cloves, Green Cardamoms, Ginger, Garlic, Saffron, Fresh Mint Leaves, Salt. 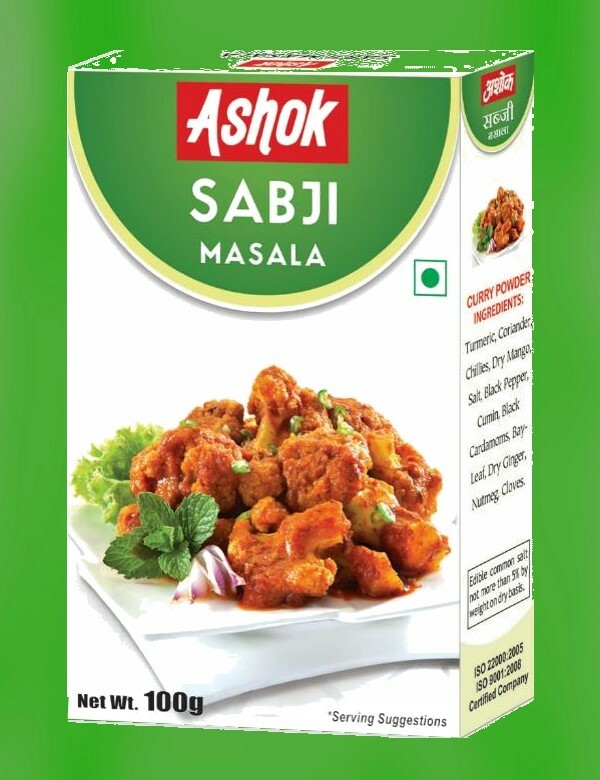 Coriander, Chillies, Cumin Seeds, Turmeric, Black Pepper, White Salt, Garlic, Onion Powder, Poppy Seeds, Dry Ginger, Cinnamon, Black Cardamom, Bay Leaf, Nutmeg, Mace, Cloves, Asafoetida. 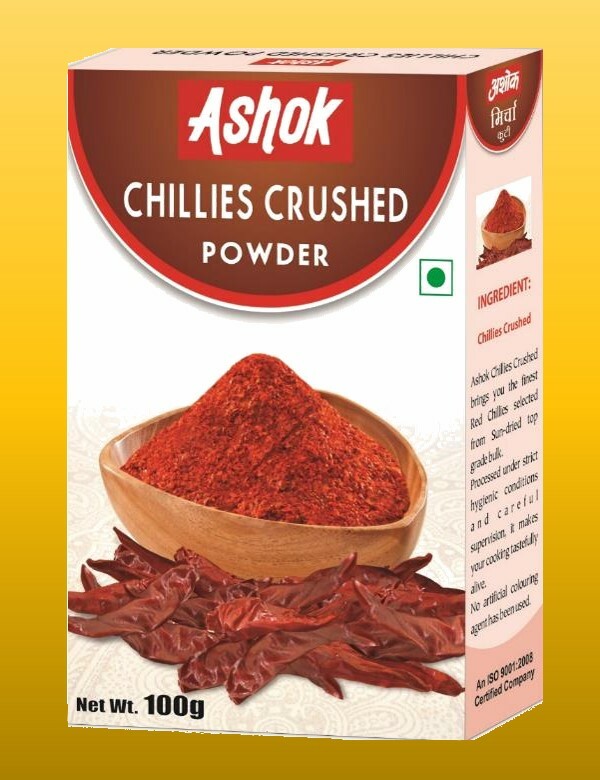 Ashok Chillies Crushed brings you the finest Red Chillies selected from Sun-dried top grade bulk. 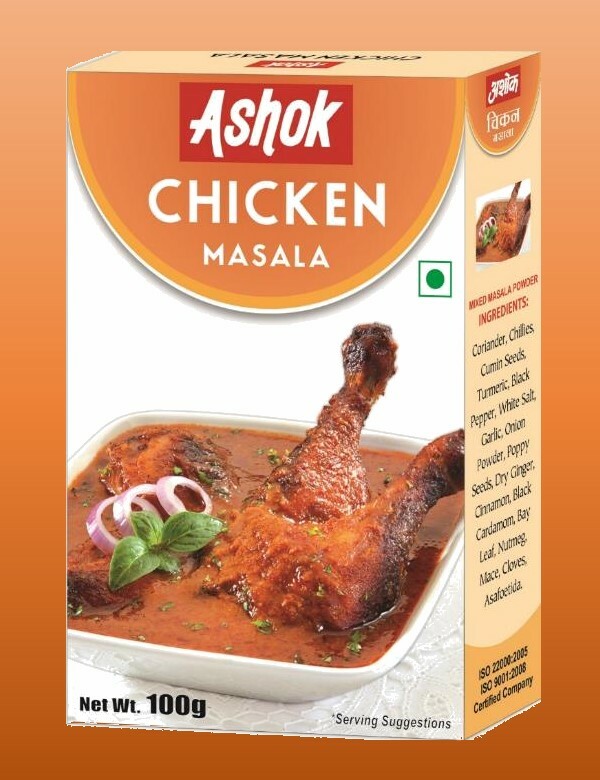 Processed under strict hygienic conditions and careful supervision, it makes your cooking tastefully alive. 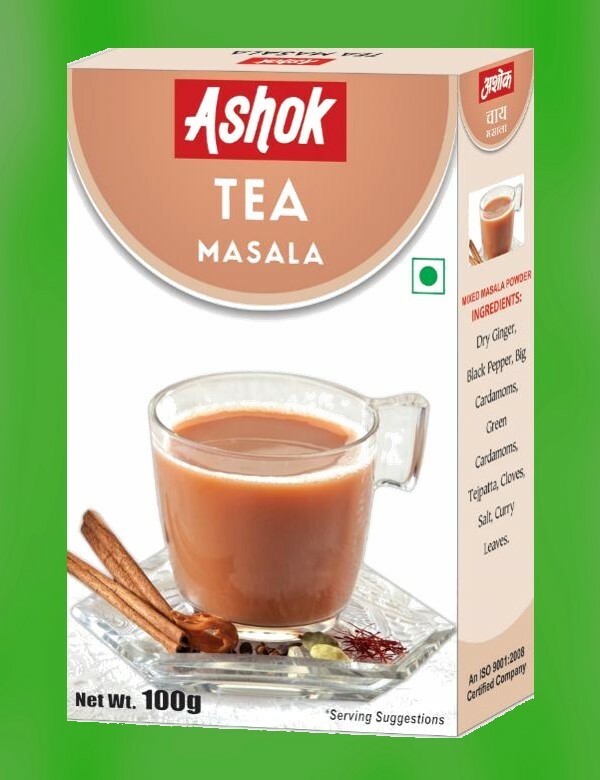 No artificial colouring agent has been used. 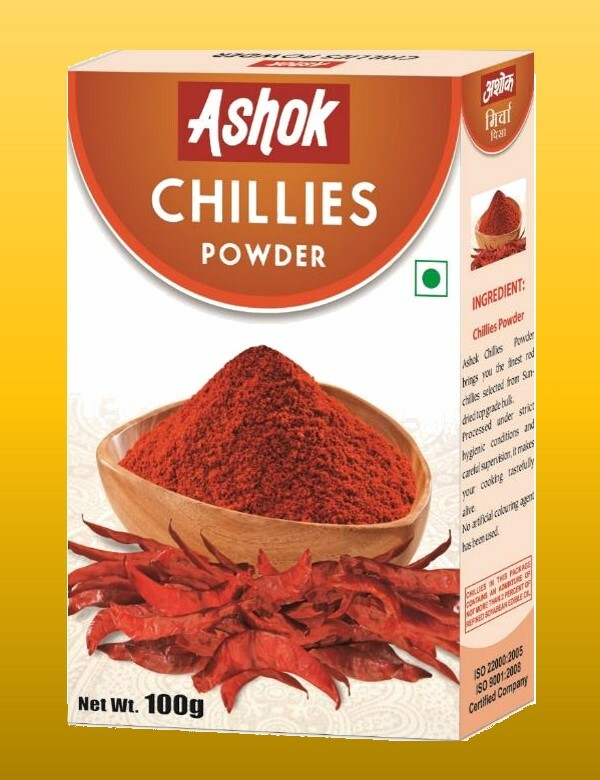 Ashok Chillies Powder brings you the finest red chillies selected from Sun-dried top grade bulk. 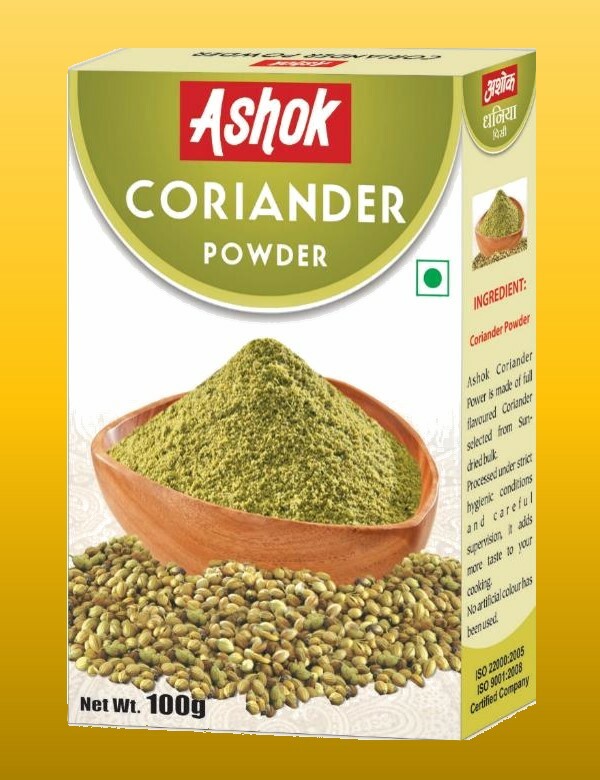 Ashok Coriander Power is made of full flavoured Coriander selected from Sun-dried bulk. 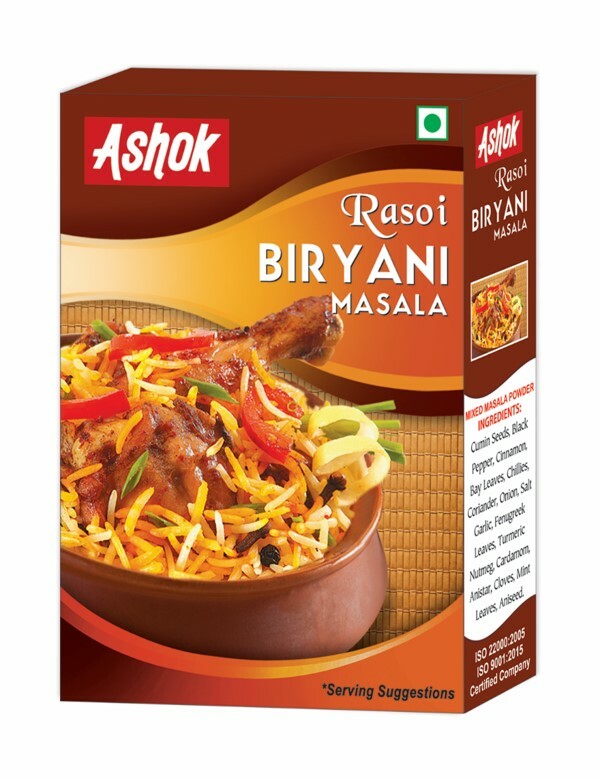 Processed under strict hygienic conditions and careful supervision, it adds more taste to your cooking. No artificial colour has been used. 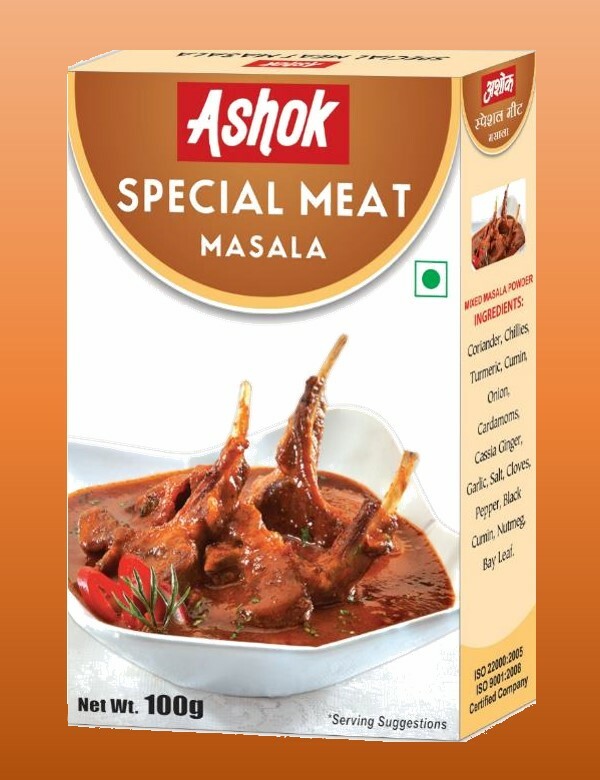 It is the King of flavour and fragrance of indian spices. 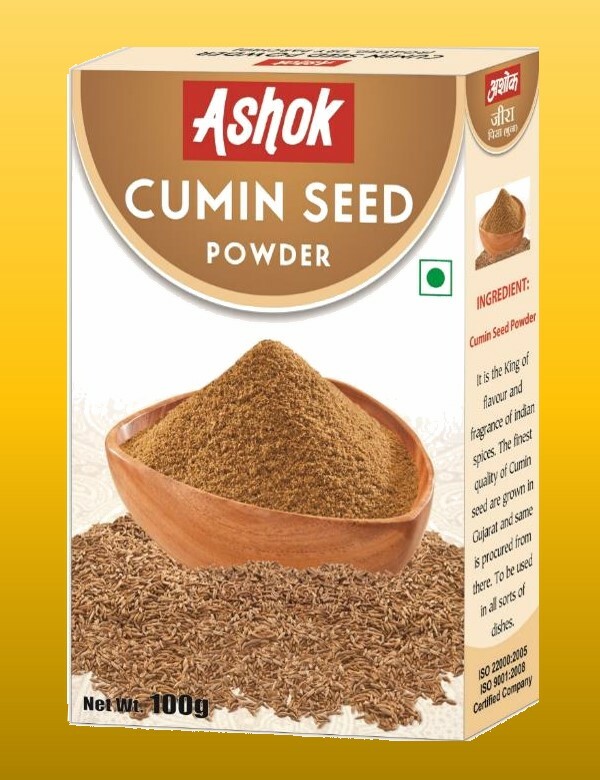 The finest quality of Cumin seed are grown in Gujarat and same is procured from there. 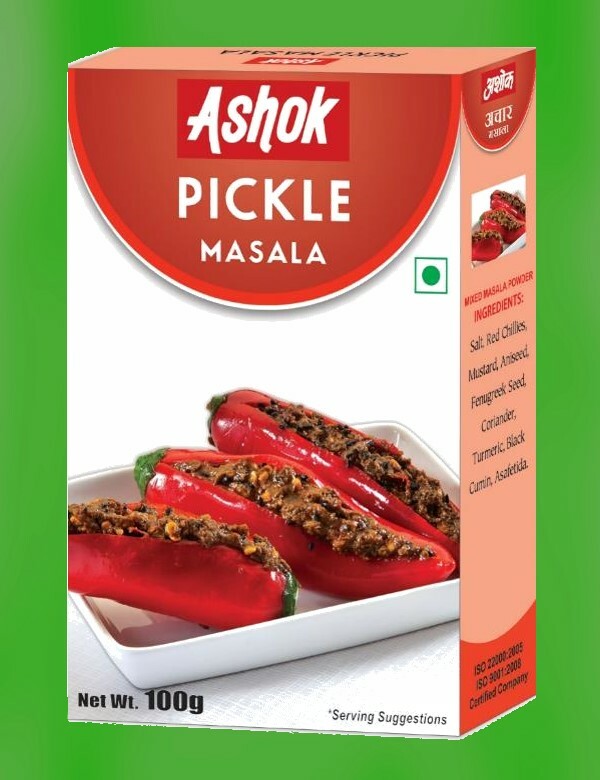 To be used in all sorts of dishes. 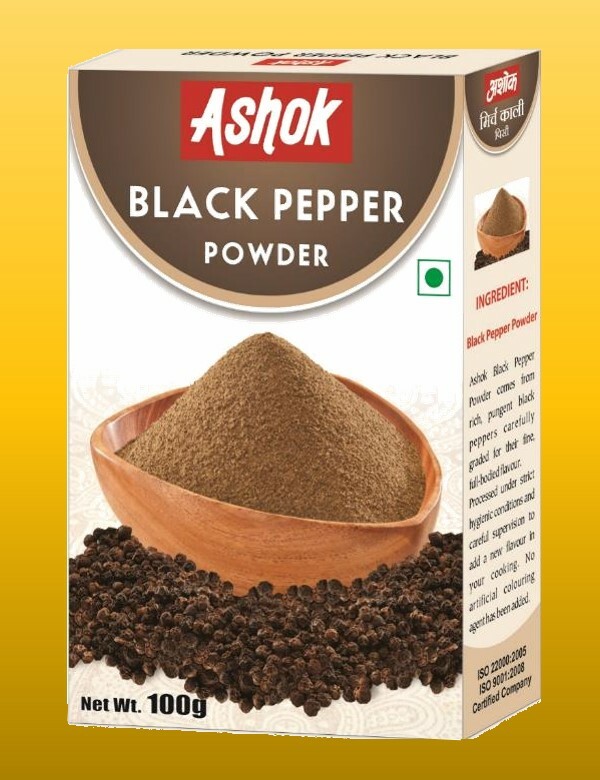 White Salt, Black Salt, Cumin seeds, Pepper, Chillies, Mace, Nutmeg, Cloves. 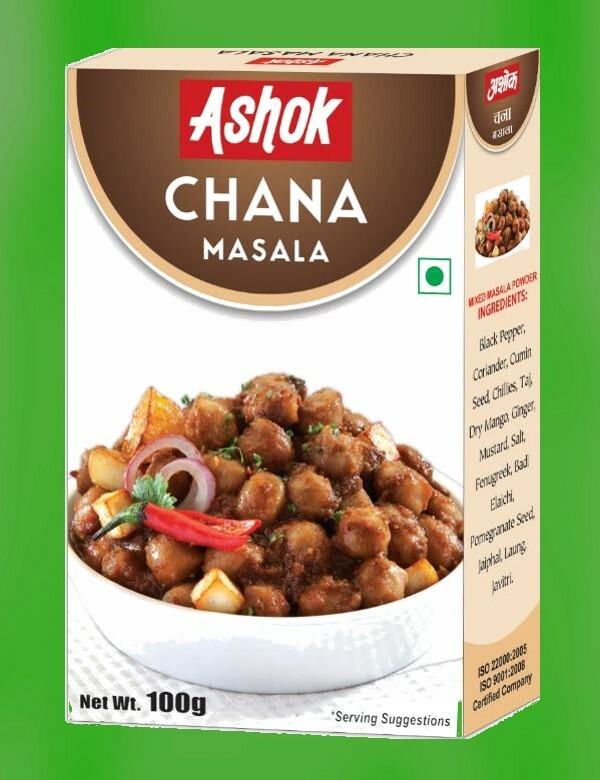 Coriander, Chillies, Cumin, Bay Leaf, Salt Cinnamon, Black Pepper, Dry Ginger, Cloves, Cardamom, Anistar. 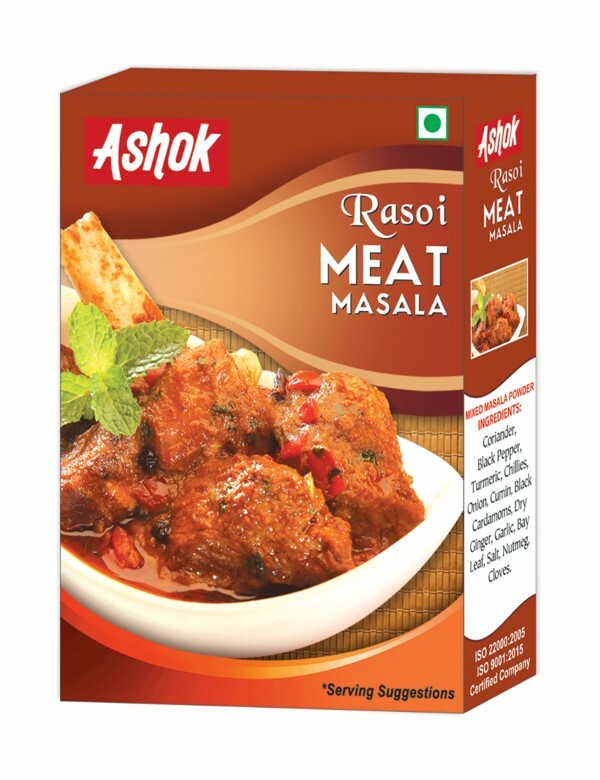 Coriander, Cumin, Black Pepper, Ginger, Chilli, Bay-Leaf, Cinnamom, Nigella, Salt, Anistar, Cardamom, Cloves, Nutmeg, Mace. Ashok Dried Mango Powder is prepared from unripe high class dry mango sun-dried flakes. Processed under strict hygienic conditions and carefull supervision. 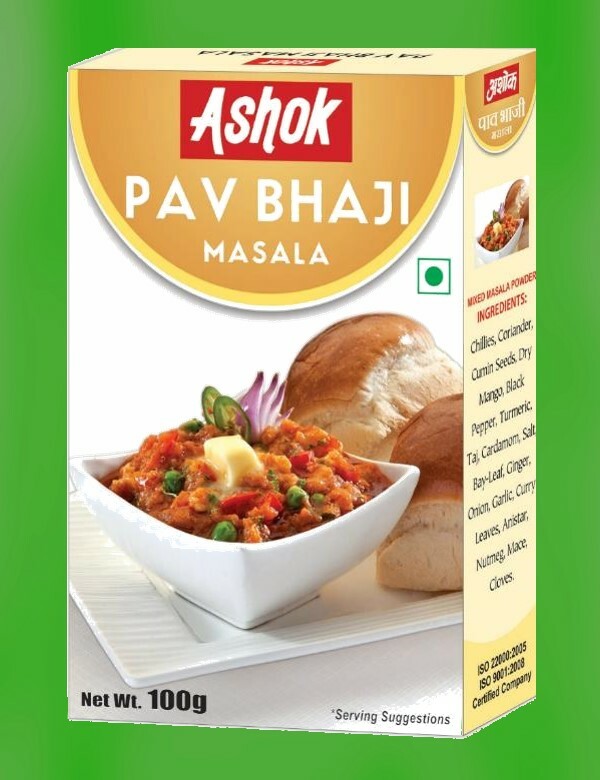 It adds more taste to your cooking. 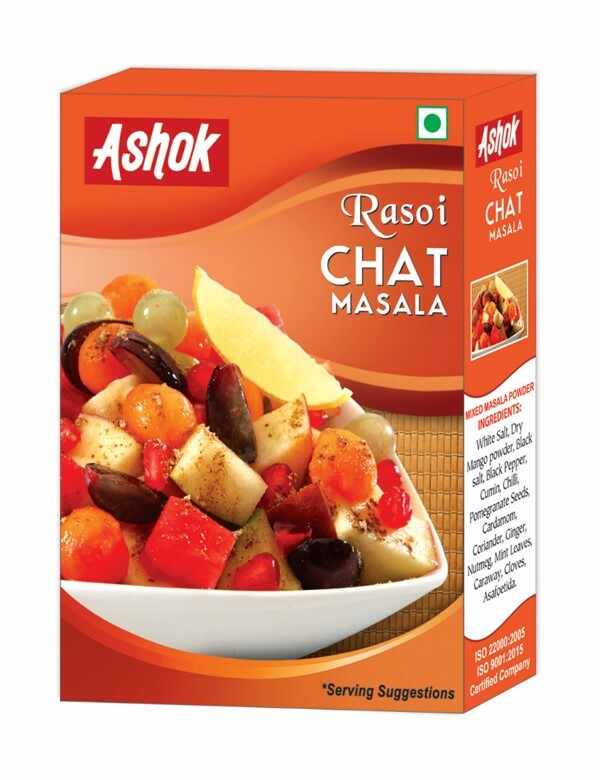 No artificial colour and souring agent has been added. 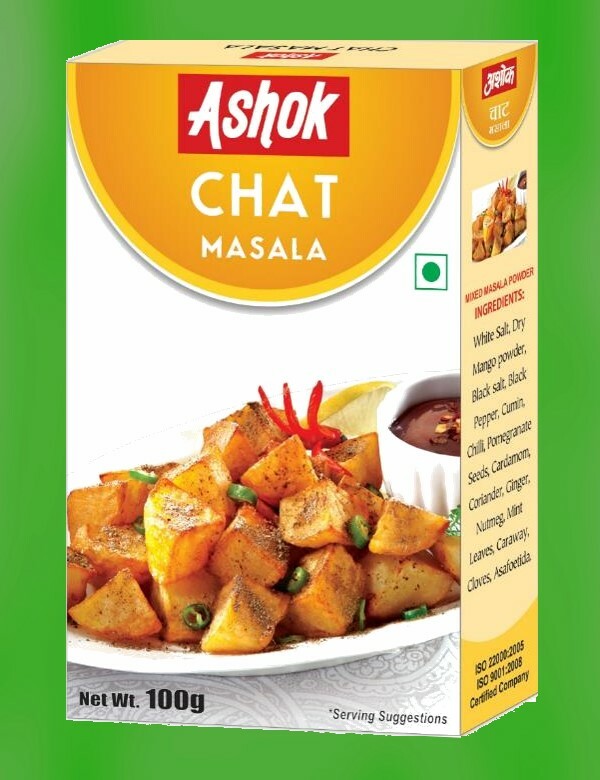 Coriander, Chilli, Turmeric, Ginger, Cumin, Black Pepper, Onion, Garlic, Dry Mango Powder, Postadana, Salt, Black Cardamom, Green Cardamom, Nutmeg, Mace, Cloves. 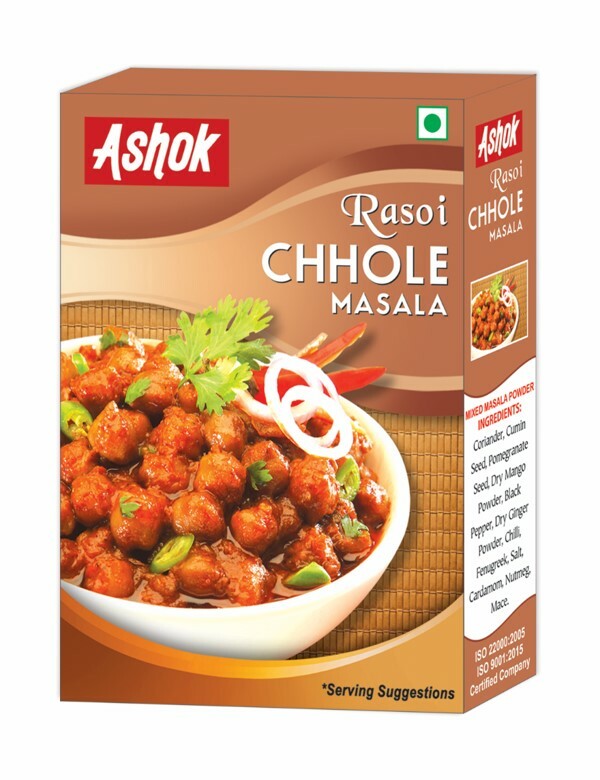 Coriander, Chilli, Cumin Seeds, Turmeric, Cardamom, Black Pepper, Ginger, Bay Leaf, Cinnamon, Onion, Garlic, Fenugreek Leaves, Nutmeg, Mace, Cloves. 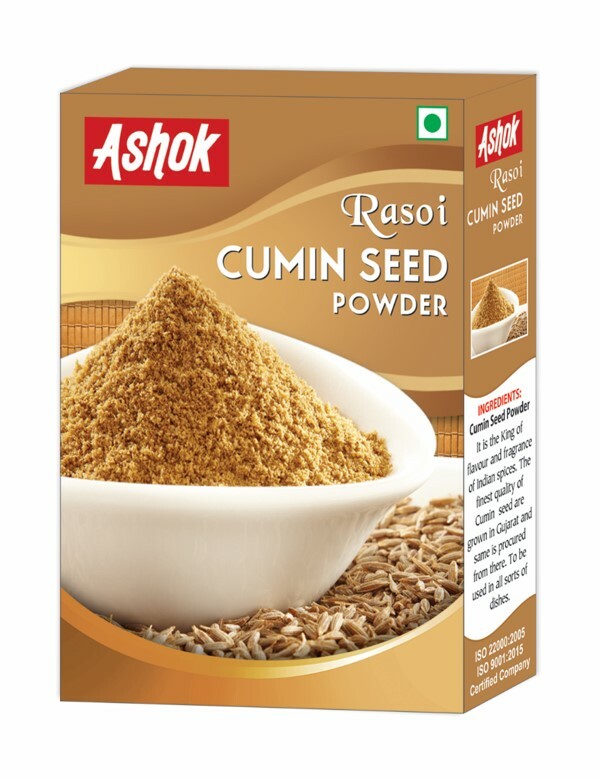 Proportionate combination of Cloves, Cardamoms, Cassia, Cinnamon, Nufmegs, Pepper, and Cumin seeds and other aromatic herbs in powder form. 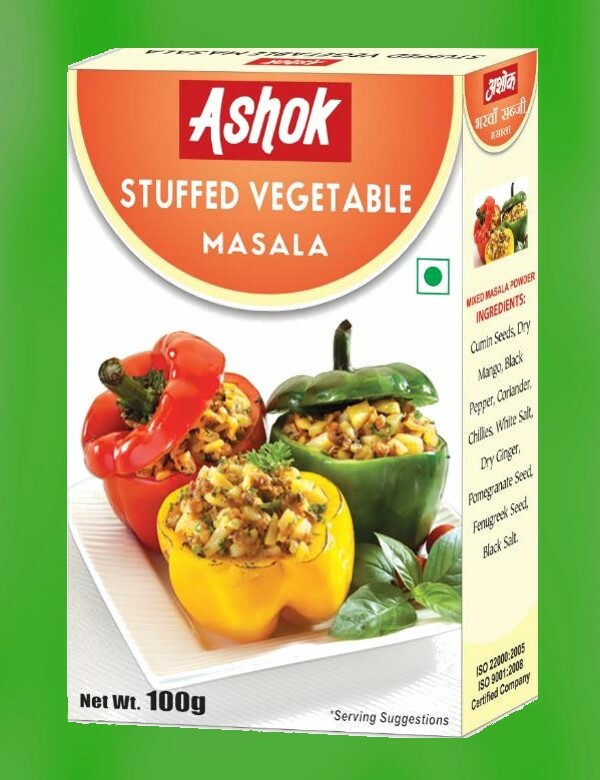 Equally praiseworthy in vegetarian and non-vegetarian preparations. 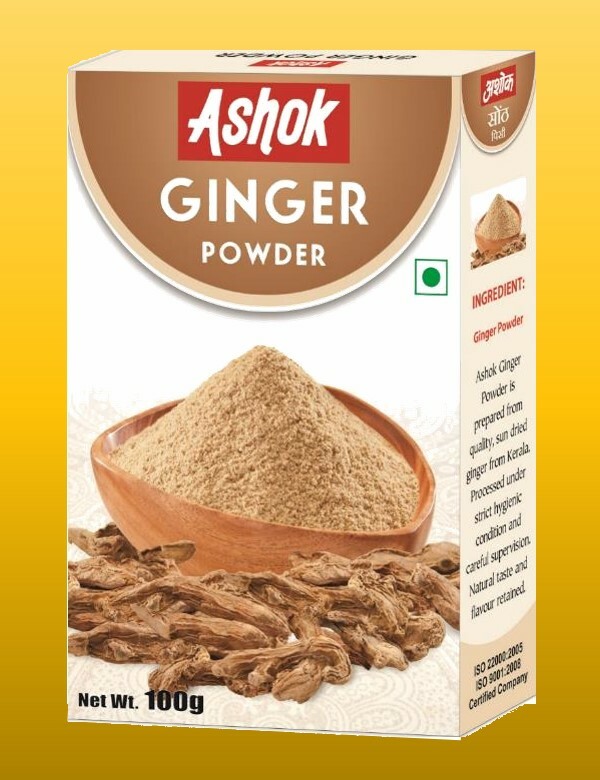 Ashok Ginger Powder is prepared from quality, sun dried ginger from Kerala. 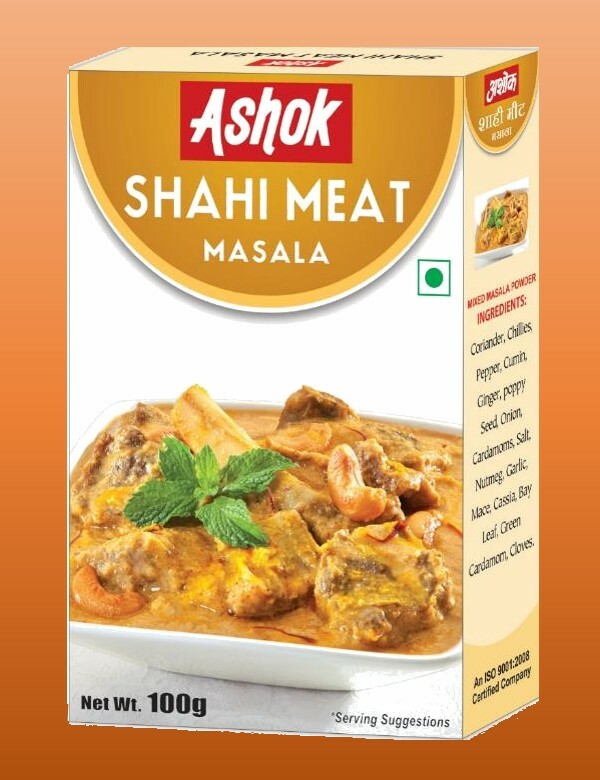 Processed under strict hygienic condition and careful supervision. 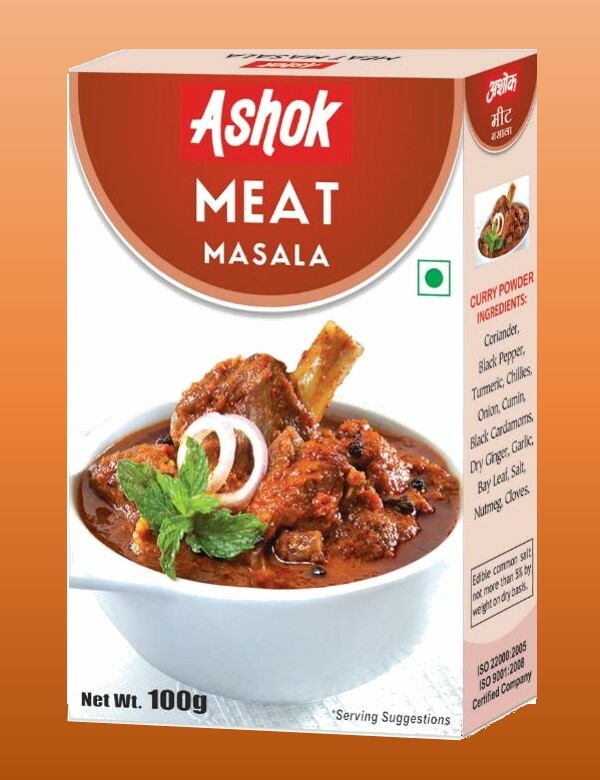 Natural taste and flavour retained. 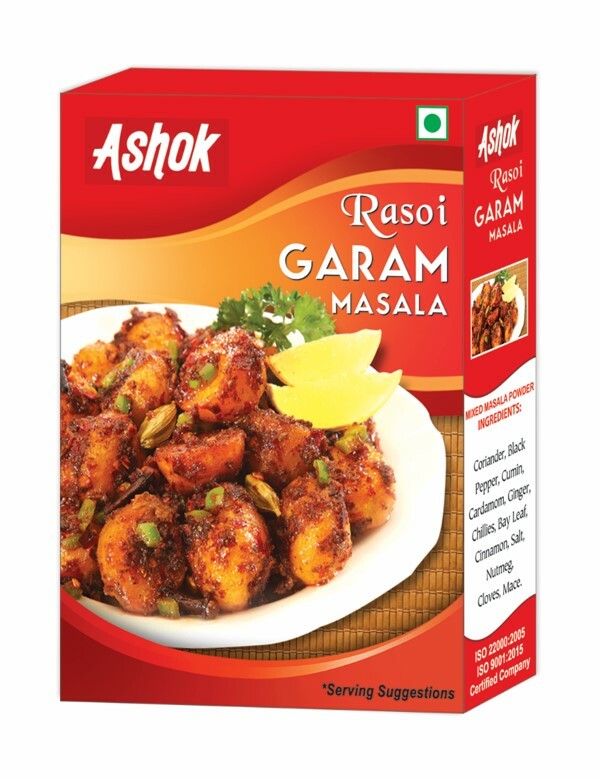 Salt, Dry Ginger, Turmeric, Cumin Seed, Carraway, Asafoetida, Myrobalan Big, Myrobalan Small Clove. 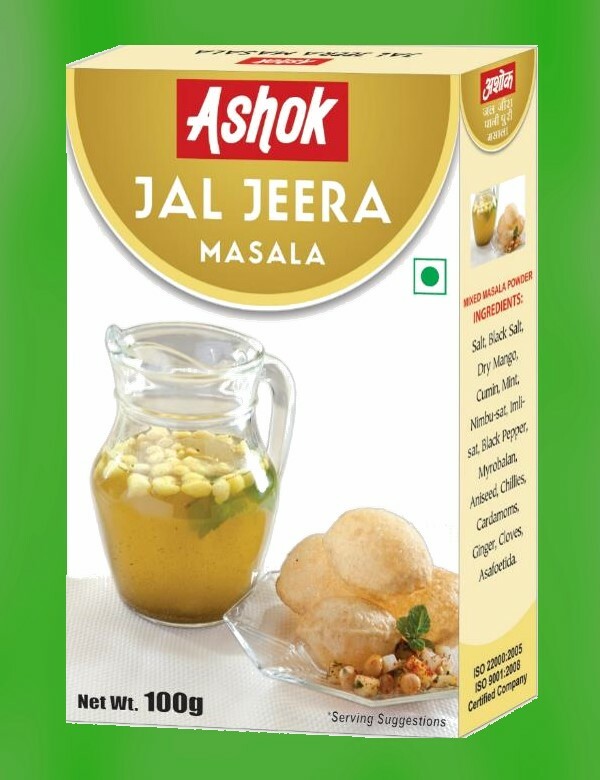 Mix a teaspoon of Jal jeera in a cup of water, Add salt if needed. 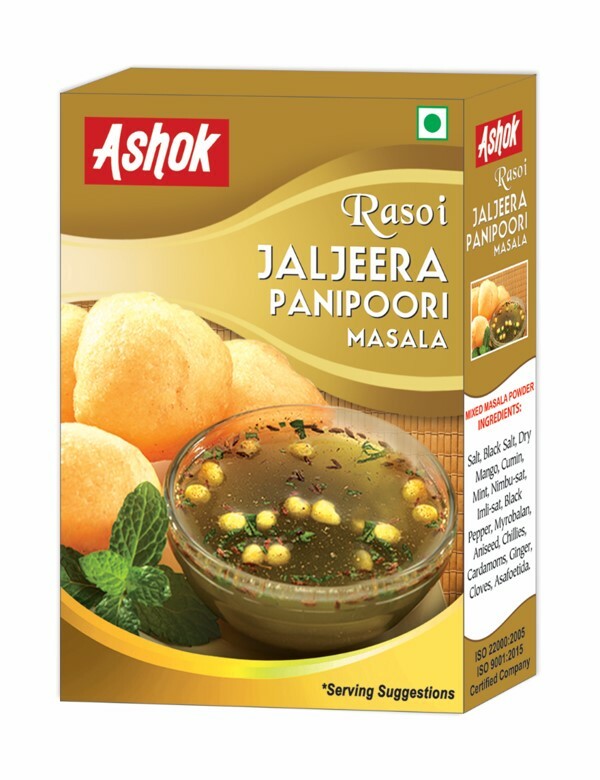 And it is ready for use in Golgappa or Panipuri. 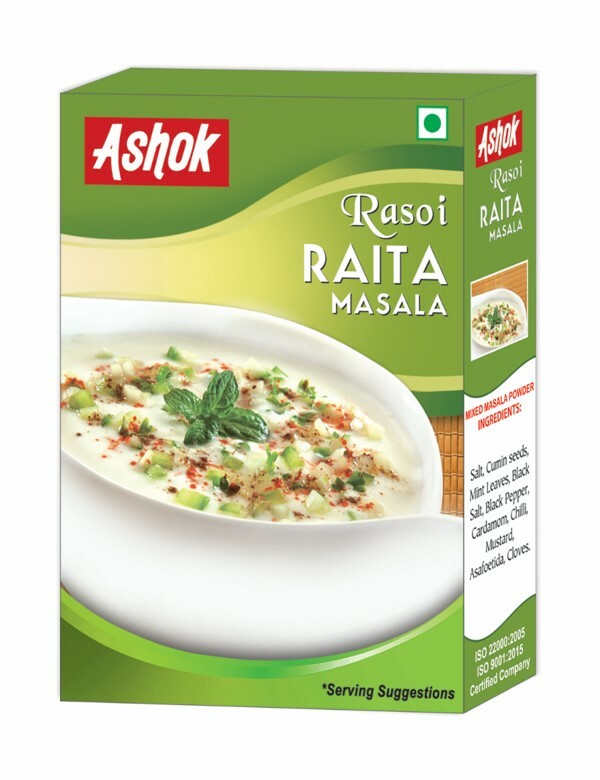 It gives protection in summer from sunstrokes and regulates digestion. 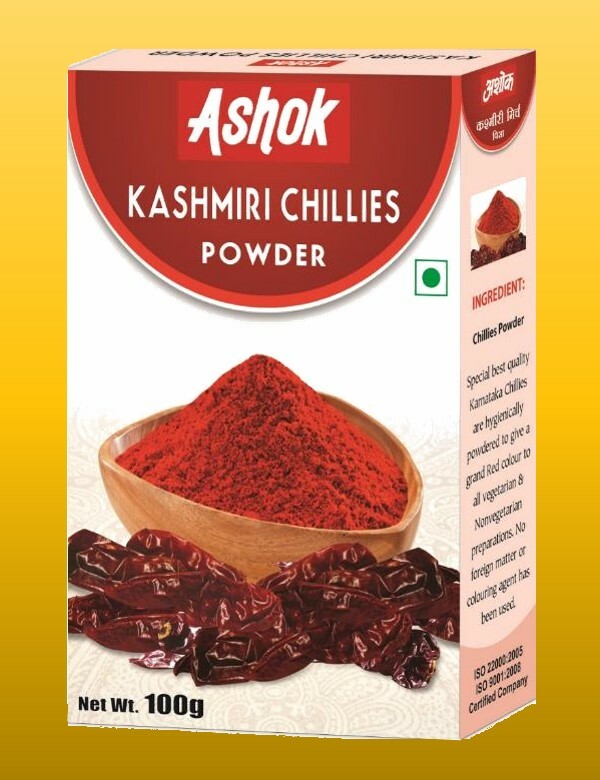 Special best quality Karnataka Chillies are hygienically powdered to give a grand Red colour to all vegetarian & Nonvegetarian preparations. No foreign matter or colouring agent has been used. Green and fresh from growing fields. 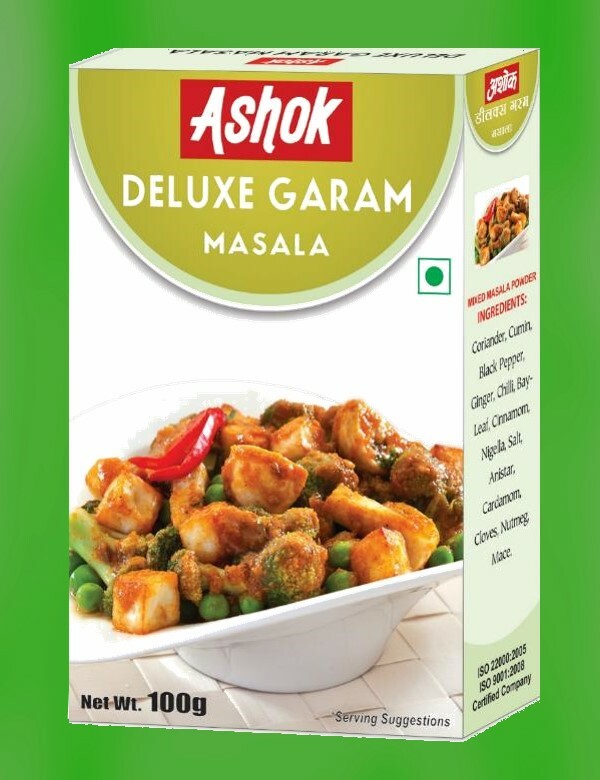 While cooking vegetable pour some leaves and enjoy a unique taste. Clean before use. 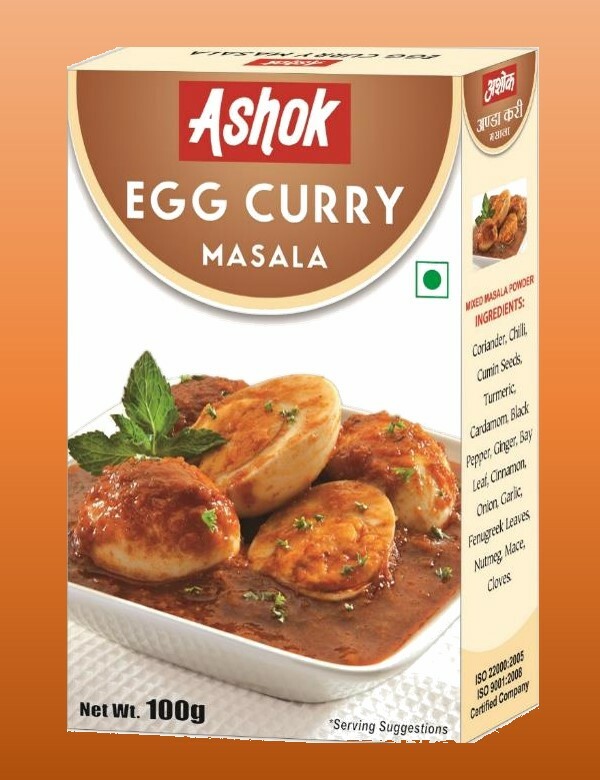 Turmeric, Coriander, Chilli, Black Pepper, Cumin, Cardamom, Ginger, Bay Leaf, Cinnamon, Onion, Garlic, Salt, Fenugreek Leaves, Nutmeg, Mace, Cloves. 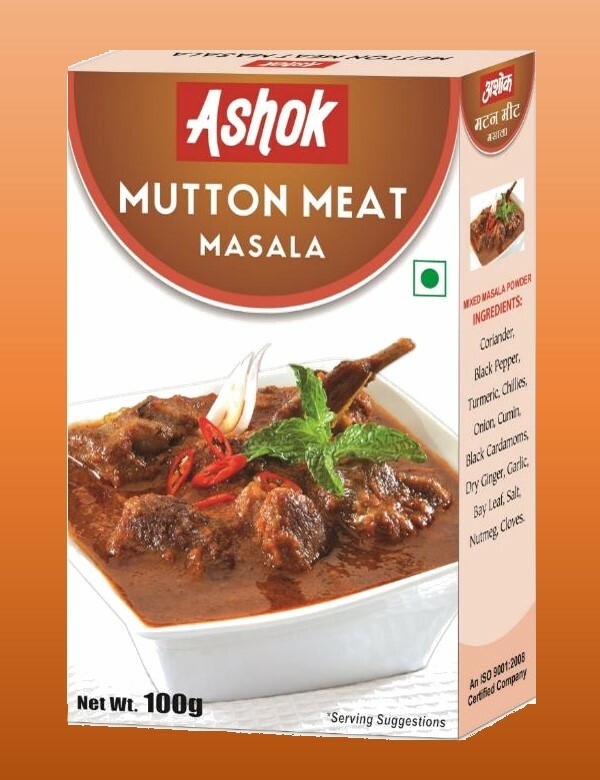 Coriander, Black Pepper, Turmeric, Chillies, Onion, Cumin, Black Cardamoms, Dry Ginger, Garlic, Bay Leaf, Salt, Nutmeg, Cloves. 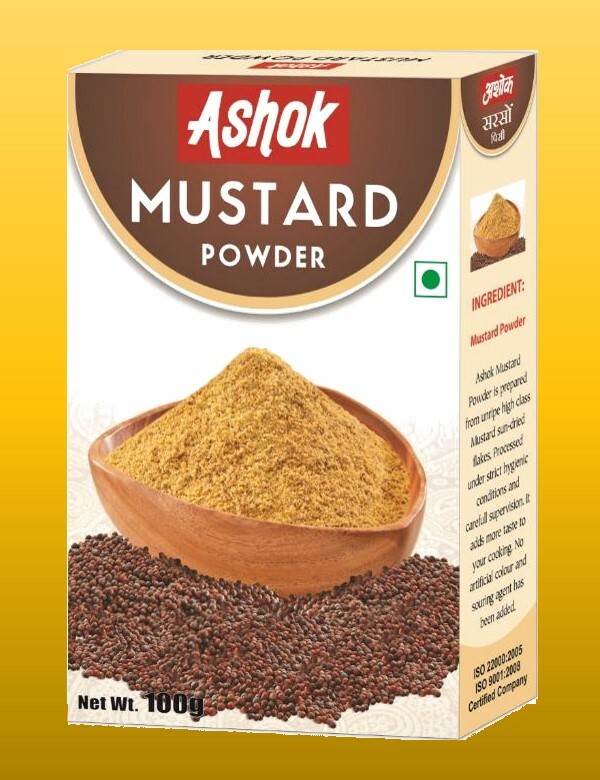 Ashok Mustard Powder is prepared from unripe high-class Mustard sun-dried flakes. 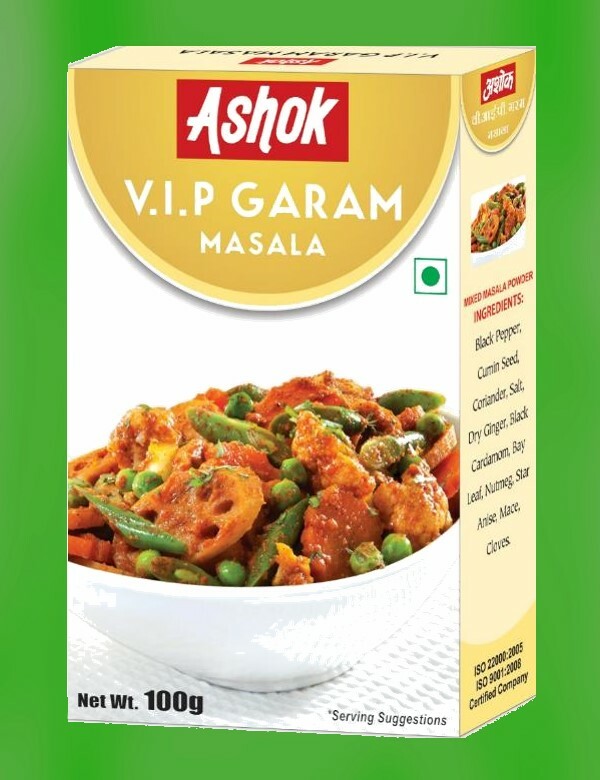 Processed under strict hygienic conditions and careful supervision. 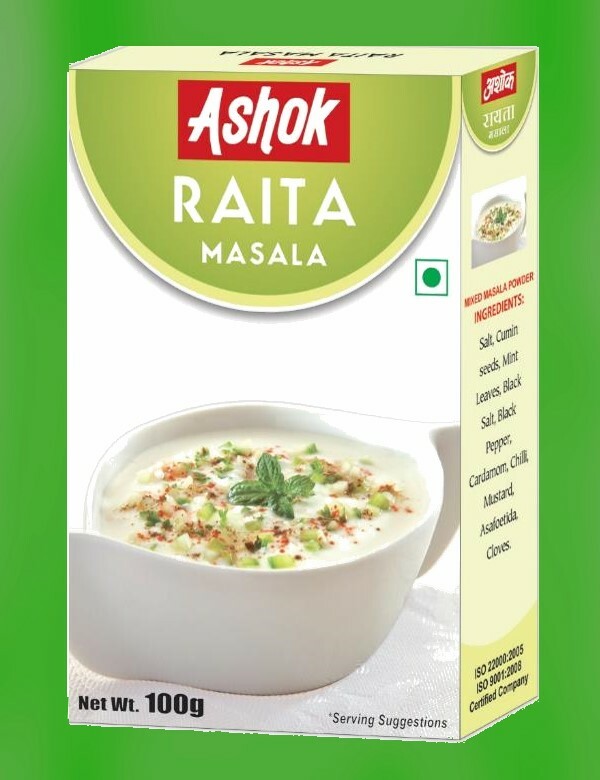 It adds more taste to your cooking. No artificial colour and a souring agent have been added. 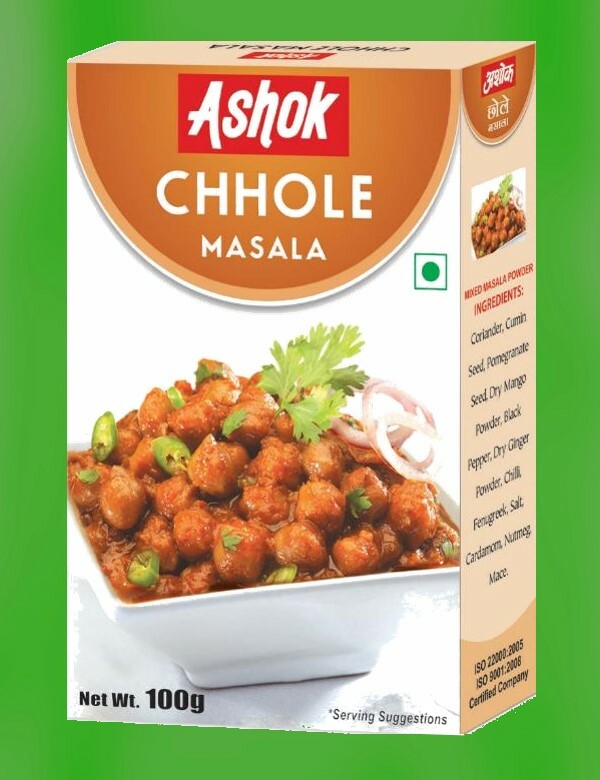 Chilies, Coriander, Cumin Seeds, Dry Mango, Black Pepper, Turmeric, Taj, Cardamom, Salt, Bay-Leaf, Ginger, Onion, Garlic, Curry Leaves, Anistar, Nutmeg, Mace, Cloves. 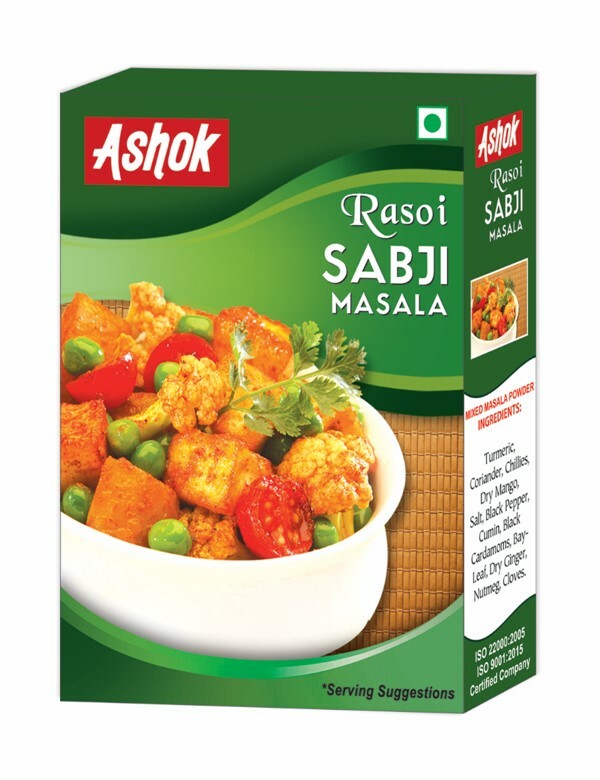 Salt, Red Chillies, Mustard, Aniseed, Fenugreek Seed, Coriander, Turmeric, Black Cumin, Asafetida. 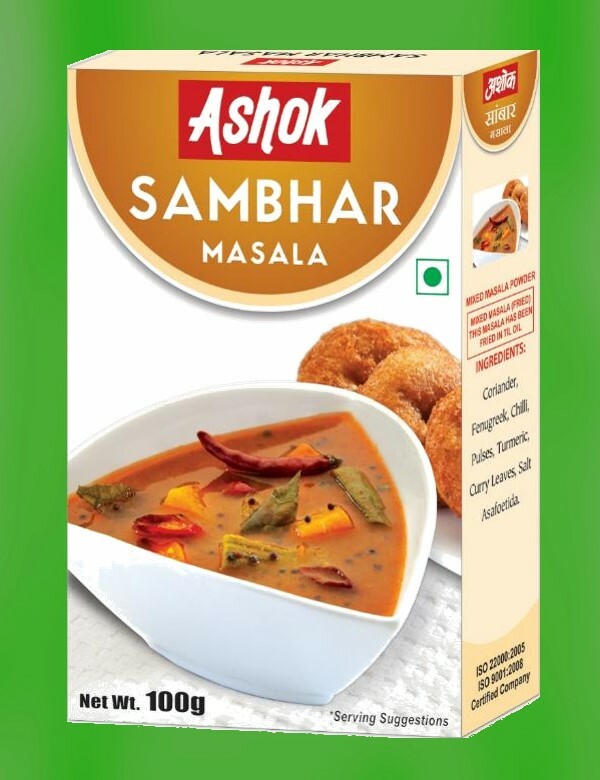 Turmeric, Coriander, Chillies, Dry Mango, Salt, Black Pepper, Cumin, Black Cardamoms, Bay-Leaf, Dry Ginger, Nutmeg, Cloves. 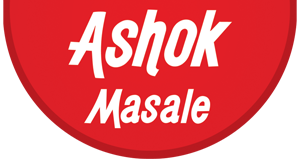 Coriander, Fenugreek, Chilli, Pulses, Turmeric, Curry Leaves, Salt Asafoetida. 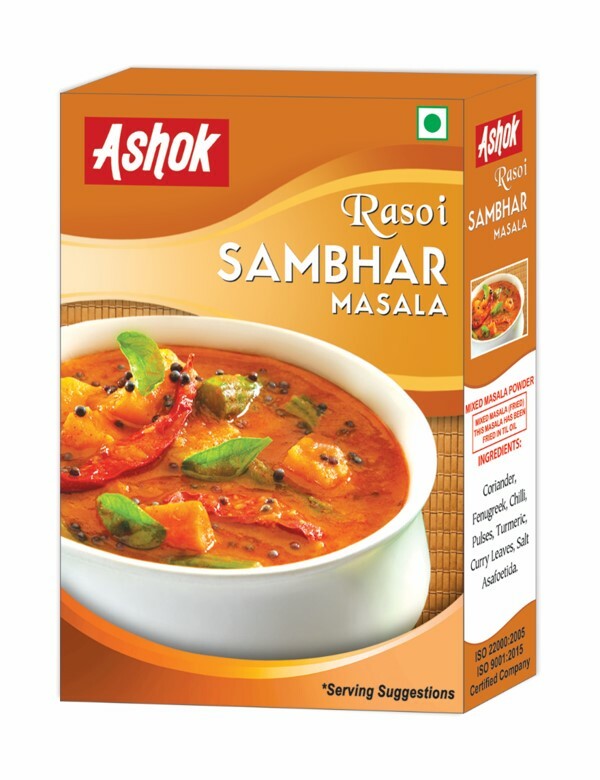 Pepper, Cumin, Ginger, poppy Seed, Onion, Cardamoms, Salt, Nutmeg, Garlic, Mace, Cassia, Bay Leaf, Green Cardamom, Cloves. 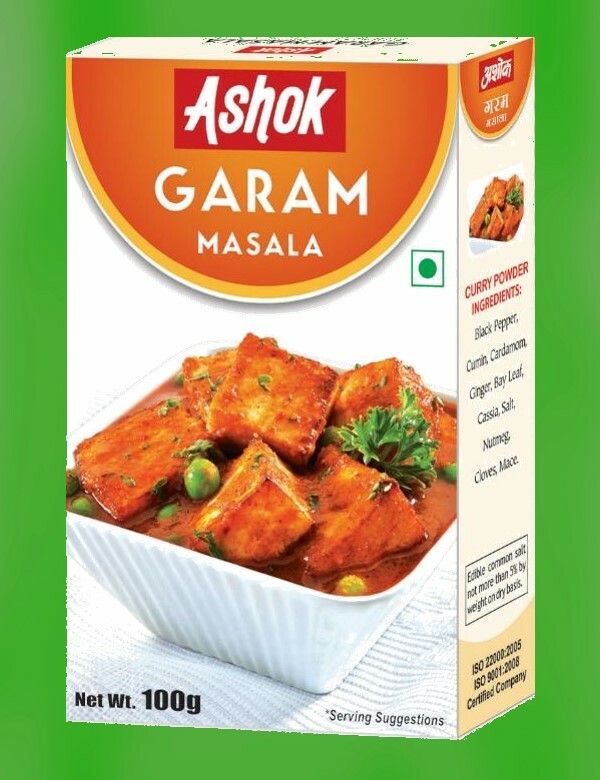 Coriander, Turmeric, Chillies, Pepper, Cumin, Ginger, Poppy Seed, Onion, Big Cardamom, Salt, Nutmeg, Garlic, Mace, Cassia, Bay-Leaf, Green Cardamom, Cloves. Coriander, Chillies, Turmeric, Cumin, Onion, Cardamoms, Cassia Ginger, Garlic, Salt, Cloves, Pepper, Black Cumin, Nutmeg, Bay Leaf. Cumin Seeds, Dry Mango, Black Pepper, Coriander, Chillies, White Salt, Dry Ginger, Pomegranate Seed, Fenugreek Seed, Black Salt. 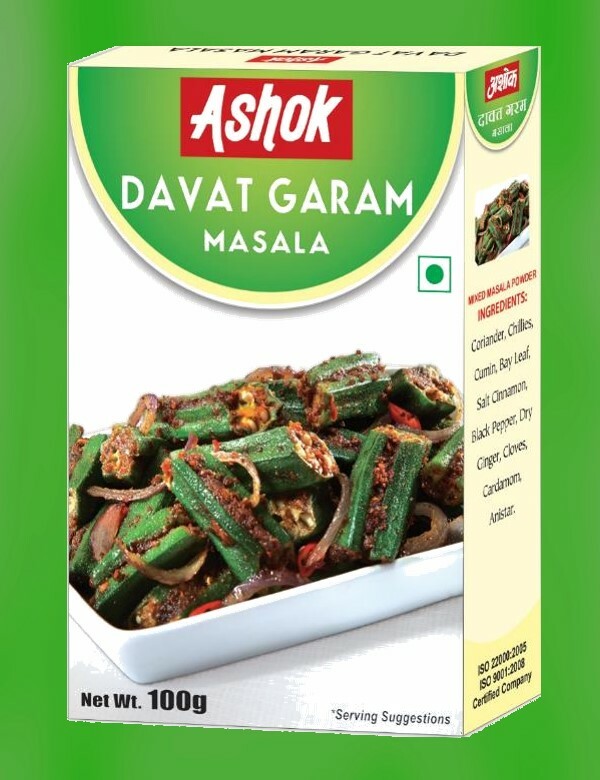 Dry Ginger, Black Pepper, Big Cardamoms, Green Cardamoms, Tejpatta, Cloves, Salt, Curry Leaves. 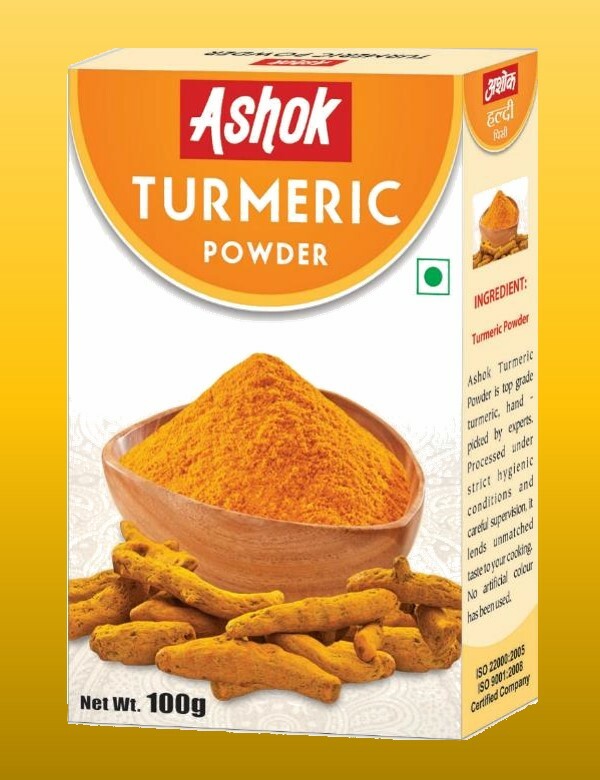 Ashok Turmeric Powder is top grade turmeric, hand – picked by experts. 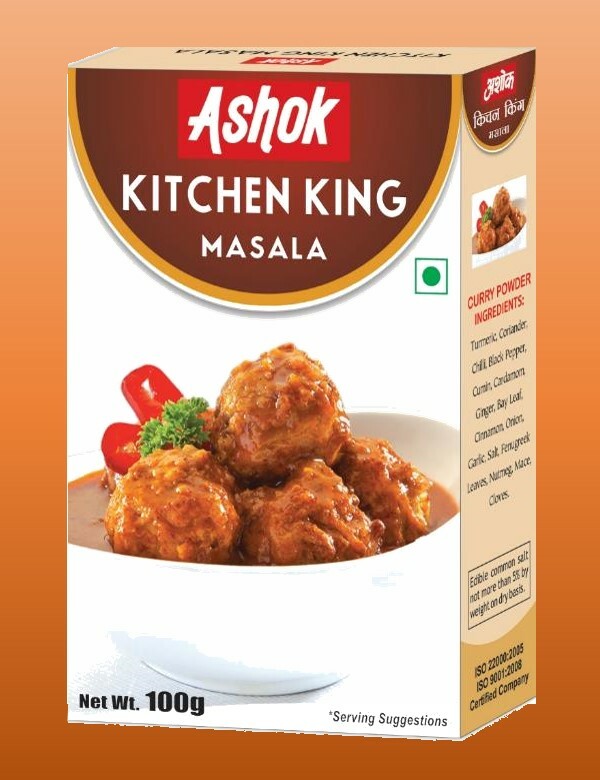 Processed under strict hygienic conditions and careful supervision, it lends unmatched taste to your cooking. 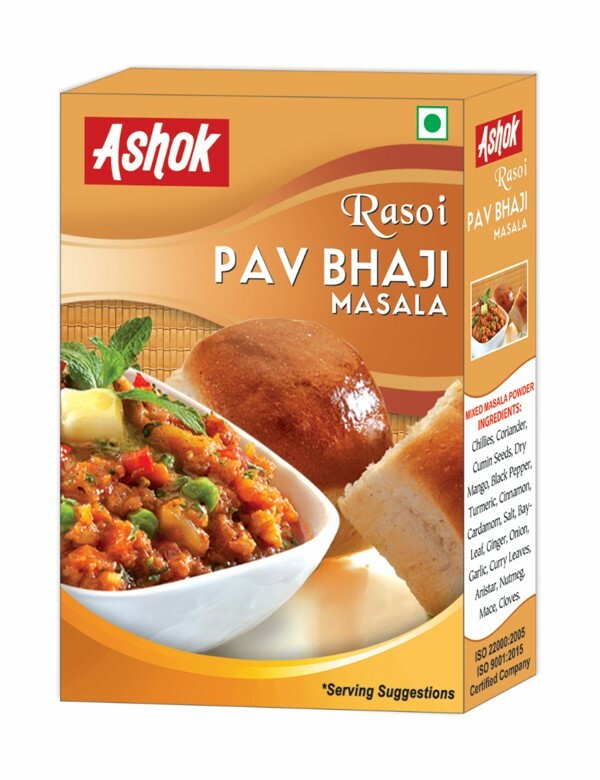 Black Pepper, Cumin Seed, Coriander, Salt, Dry Ginger, Black Cardamom, Bay Leaf, Nutmeg, Star Anise, Mace, Cloves. 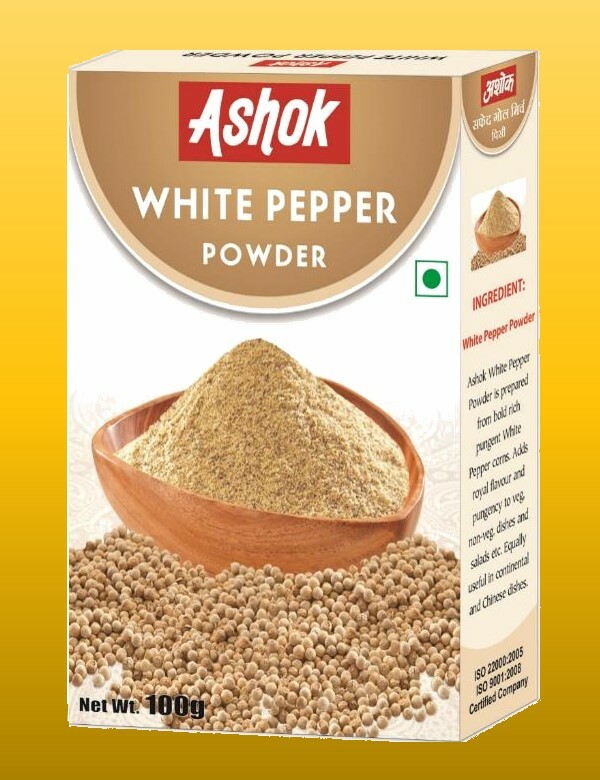 Ashok White Pepper Powder is prepared from bold rich pungent White Pepper corns. 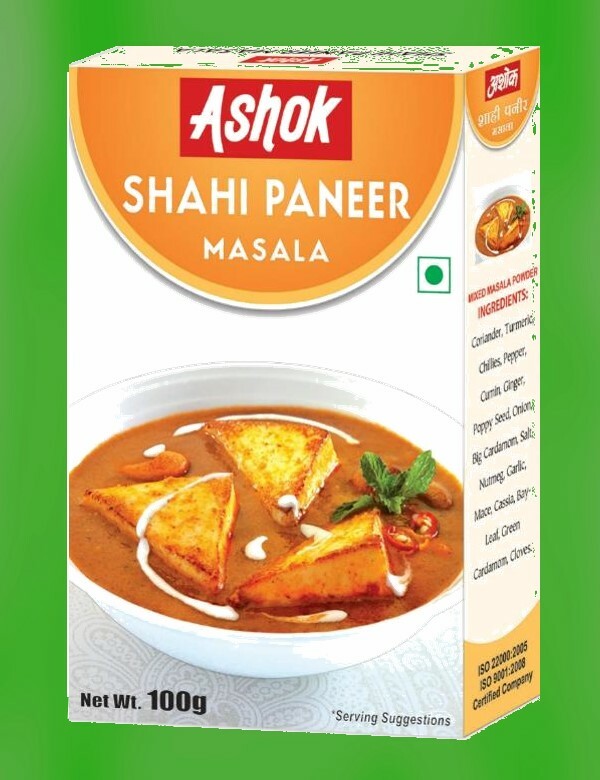 Adds royal flavour and pungency to veg, non-veg. dishes and salads etc. 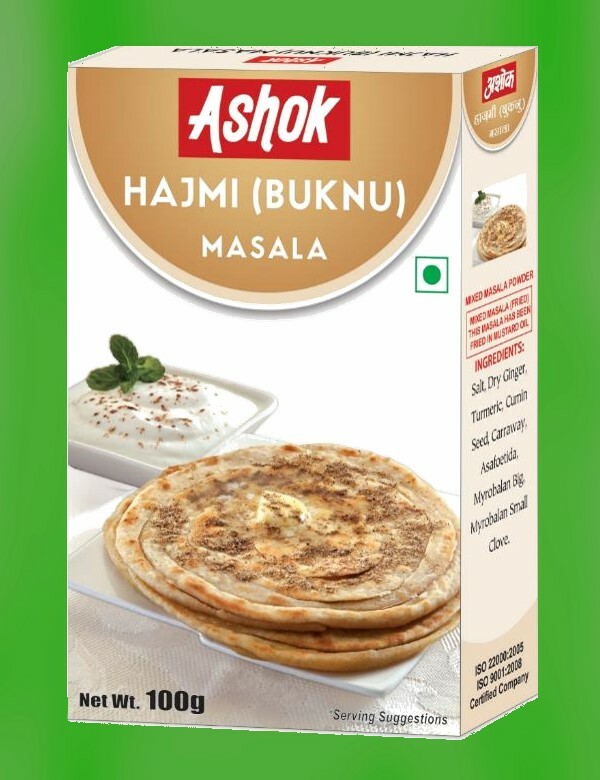 Equally useful in continental and Chinese dishes. Coriander, Chillies, Pepper, Cumin, Ginger, poppy Seed, Onion, Cardamoms, Salt, Nutmeg, Garlic, Mace, Cassia, Bay Leaf, Green Cardamom, Cloves. 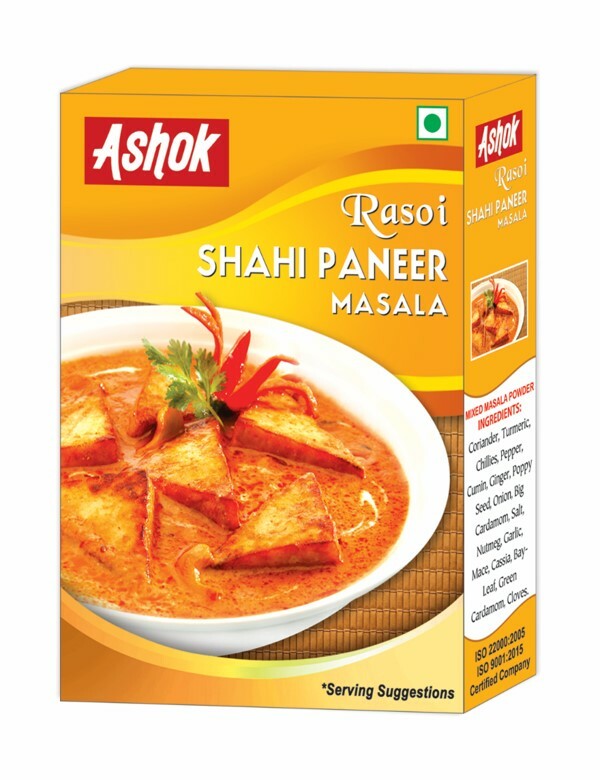 Ashok Turmeric Powder is top grade turmeric, hand – picked by experts. 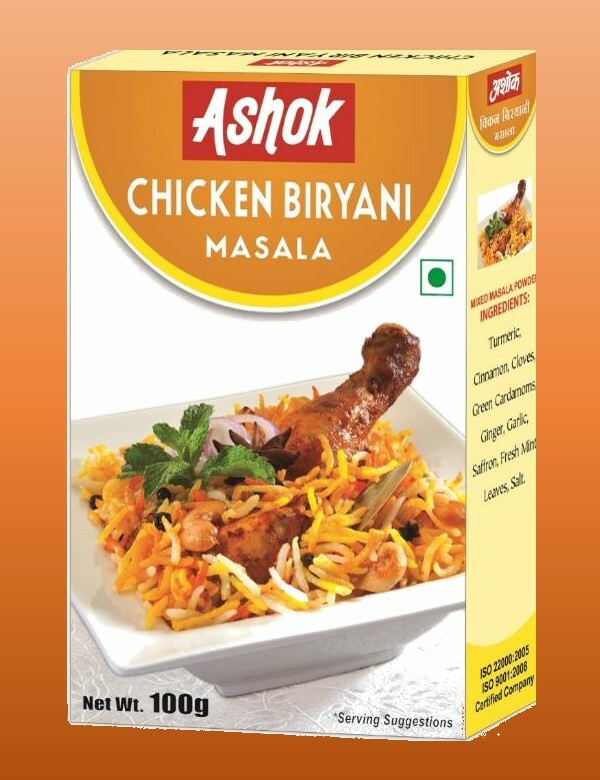 Processed under strict hygienic conditions and careful supervision, it lends unmatched taste to your cooking. No artificial colour has been used.